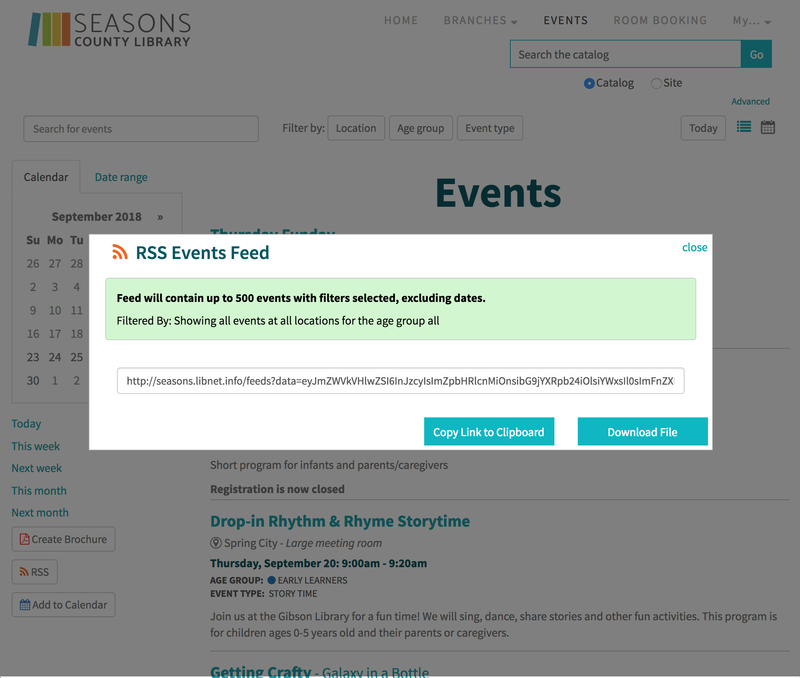 You can generate custom RSS events feeds straight from your events listing page. RSS (Rich Site Summary - often called Really Simple Syndication) is a type of web feed which allows users to access updates to online content in a standardized format. Once subscribed to the feed, the content can be viewed in a reader within a browser or via desktop and mobile apps. Note: The rss feed option needs to be enabled - you may have to contact Communico to have this setting turned on). 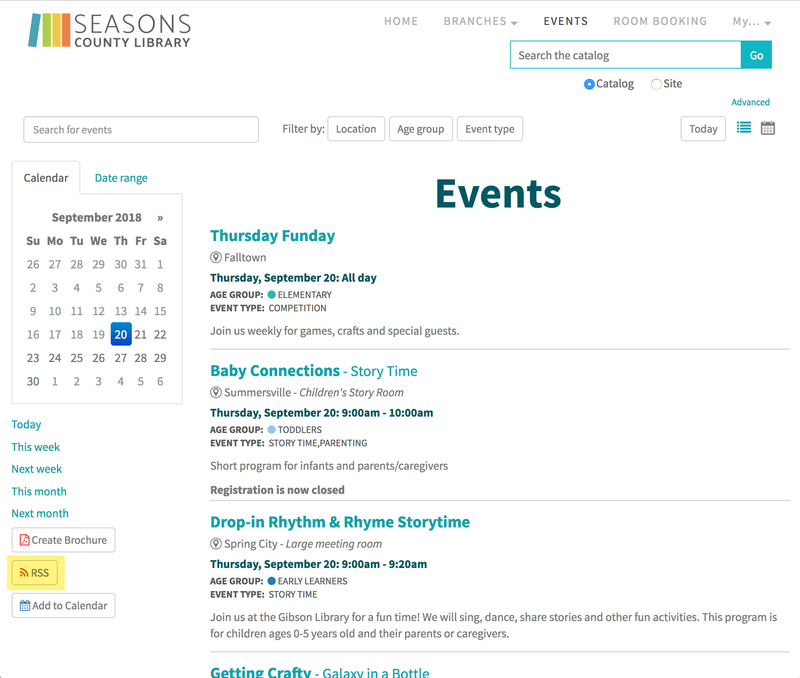 Visit your website events listing page. By default, a feed of all event types and all event groups at all locations will be generated, but you can use the filters to narrow to only the events you want to receive. Once the feed is generated there are two options available from the pop up. Click the Copy Link to Clipboard button. Open your preferred rss reader and create a new feed, then paste the link into the url feed, set any preferences you require in the reader - for example, for how often the feed is updated and save. If you want to download the xml file to use in an application, click the Download File button. The file will be downloaded to your computer or device.